WINGS AND WASP: It's All About a Bear Named Bishop and the WASP! 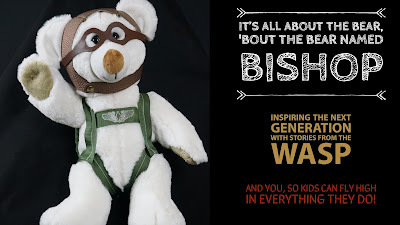 It's All About a Bear Named Bishop and the WASP! 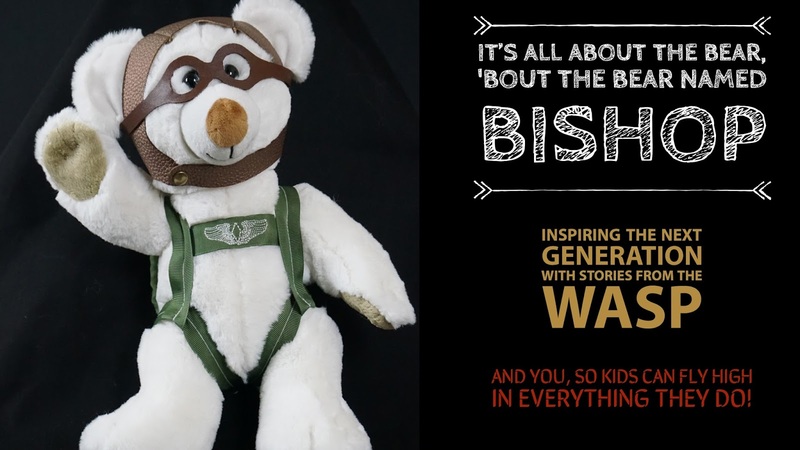 Bishop the Bear was created to honor and celebrate the WASP of WWII and to captivate kids' imaginations, encouraging them to soar! As many of you know, I've been sharing the WASP WWII history for almost 20 years, through songs, videos, an afghan, trading cards, interactive displays, kiosks, the first WASP app, an illustrated WASP history book, and interactive web pages. Anything outside the box that will captivate, engage and educate kids is what excites and propels me. Enter Bishop, my next ‘big idea’ to challenge young kids to follow their dreams, work hard, persist, and keep on learning. Through Bishop, we can reach the next generation--raising awareness and sharing the inspirational WASP history in a completely new way. You don’t have to be a WASP to Fly HIGH in what you do. HOW do you do it? Will YOU SHARE what you’ve learned so that a child can be inspired to do something they might never have done? My prayer is that Bishop will show us all how exciting and fulfilling it is to dream big and someday, FLY—in whatever we choose to do! Join us! Change the future by honoring the past and share your own inspiration, honor, courage, and love. I'd like to invite you to read all about it on our new KICKSTARTER page. HERE IS THE LINK! Then, please, join us, and let me know what you think!